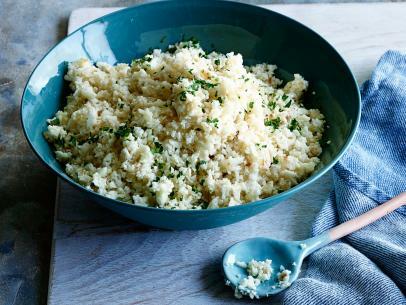 Successfully saved Healthy Cauliflower Rice to your Calendar. You can also save the ingredients to your Grocery List. Cauliflower can shine in many forms. This recipe shows how simple it is to turn the florets into a healthy, low-carb meal or side dish--our version has only about 1/4 of the carbohydrates in rice. With the olive oil and browned onions, the cauliflower has enough flavor to satisfy by itself, and it can also be a base for stir fries, beans and rice or anything else you would eat with rice.